Welcome to the fifth of our interviews with companies and organizations that are supporting the upcoming Rock the Green sustainability festival in Milwaukee on Sept. 17. We’re asking companies to talk about their own sustainability stories, as well as to explain why they’re supporting the event — one of the most sustainable festivals around. 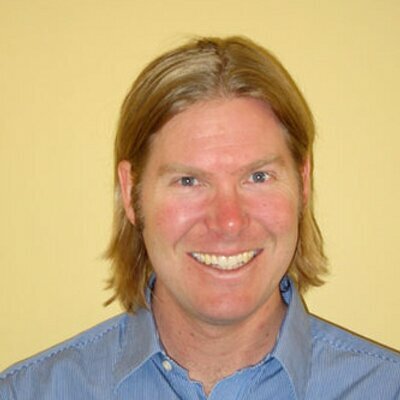 This week we chatted with Pat Boelter, the chief marketing officer of Goodwill Industries of Southeastern Wisconsin -- a partner of Rock the Green. Pat Boelter: At Goodwill, sustainability involves taking steps to lessen one’s carbon footprint. For us, the main focus of that is keeping items out of landfills. Sustainability is extremely important to us, not only because we care about the environment in which we operate, but because it is also the lifeblood of our retail operations. PB: Many people are familiar with our Goodwill Store & Donation Centers. Every day, these retail operations live and breathe our “reduce, reuse and recycle” message of sustainability. Our customers “reduce” their gently-used items by donating them to our Goodwill Store & Donation Centers. We then “reuse” those items by selling them in our stores for a fraction of the original price and provide plenty of options for the upcycling of donated items, or we “recycle” items, such as computers. And even better, revenue from the sale of donated items is reinvested in programs that help provide training and jobs right in the communities in which we serve. It’s extremely fulfilling to be a part of an operation that facilitates this type of recycling pattern, while allowing members of the community to take part as well, through their donations and purchases! 3p: Sustainable thinking is no longer just "nice to have." It's increasingly seen as a competitive advantage. Tell us how sustainable thinking is helping move your company forward? PB: Sustainability throughout our business units continuously keeps our organization, as a whole, ahead of the game. For example, our Goodwill Manufacturing division works to create a positive environmental impact, prevent pollution and meet applicable legal and organizational requirements through equipment and product choices. Goodwill Manufacturing breaks-down unusable goods for recycling and salvage, and last year recycled 11.6 million pounds of materials. Goodwill DataShield, our document destruction service, recycled nearly 2.8 million pounds of paper in 2015. And, Goodwill Store & Donation Centers collected more than 3.5 billion pounds of donations last year alone. These sustainability accolades help to make Goodwill top-of-mind when local companies need their packaging and assembly needs fulfilled, when businesses are looking to partner and when shoppers and donors are seeking an environmentally-friendly retailer. PB: Across the Goodwill organization, we use preventative maintenance designed to maximize the efficient operation of our equipment and facilities. And when building new facilities, we separate construction waste and use regional and low-emitting materials to minimize our carbon footprint. We use green refrigerants in our air conditioners and are upgrading lighting in our locations to more energy-efficient fixtures. Finally, we have installed motion sensors to cut down energy use and we have installed low flush toilets and use green landscaping practices. All of these steps make a big impact on our organization’s operations, and in the communities that we serve. PB: We proudly share our sustainability practices with employees through monthly communications, so that they understand the green efforts being made by our organization. Employees are made aware of the green practices and equipment we’ve implemented in our buildings and are encouraged to contribute to their own green lifestyle as well. Team Members at our Goodwill Store & Donation Centers don shirts that communicate our “reduce, reuse and recycle” message of environmental sustainability also! PB: Just like the word ‘sustainability’ suggests, over the next five years we plan to continue and grow our green efforts. We will consistently pursue the latest sustainable equipment and options in the construction and remodeling of our facilities. 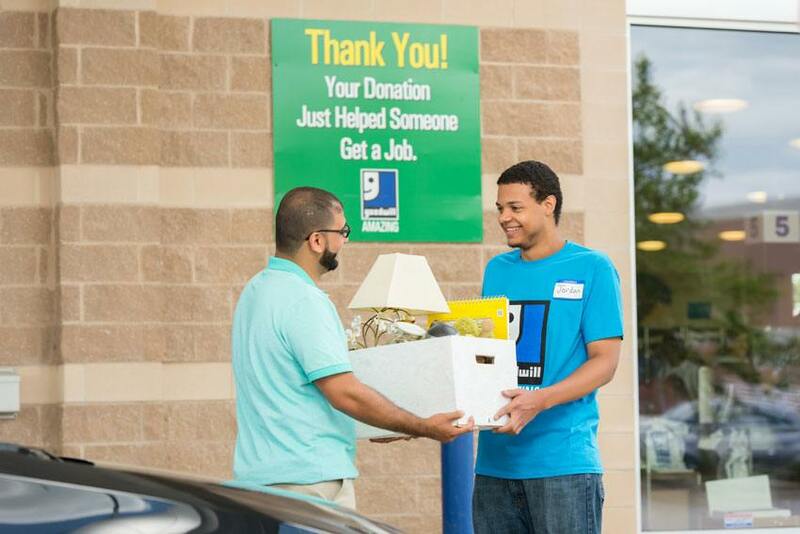 The successful growth of our Goodwill Store & Donation Centers means we can expand our operations, and continue that environmental sustainability cycle of reducing, reusing and recycling in those communities we proudly serve.